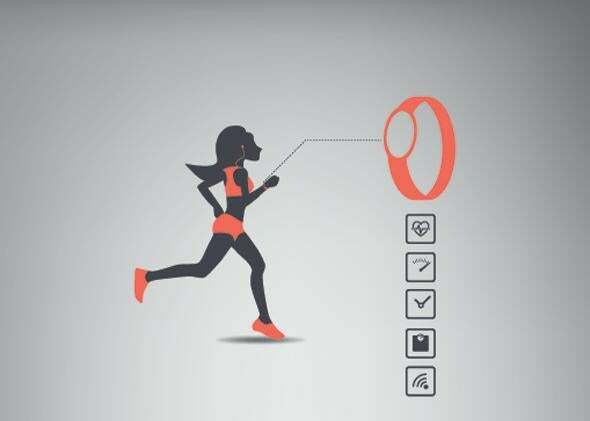 Symantec whitepaper shows that fitness trackers are highly hackable. Are fitness trackers leaking data? We all know that cybersecurity is a problem. Twitter accounts, credit card data, and all manner of portable gadgets get hacked every day. So we’ve all kind of been waiting for the other shoe to drop with wearables, right? Or maybe we’ve made the same mistake we always make and blissfully assumed that our fitness trackers were secure. Well, they’re not. In the study “How Safe Is Your Quantified Self?,” security giant Symantec explores vulnerabilities in everything from dedicated wearable trackers to apps that coordinate with smartphone sensors to collect fitness data. And the results are concerning. The study explains, “Symantec has found security risks in a large number of self-tracking devices and applications. One of the most significant findings was that all of the wearable activity-tracking devices examined, including those from leading brands, are vulnerable to location tracking.” All of them. Symantec describes how the more elements there are in quantified-self data collection, the more points of access there are for hackers. For example, if data is stored on a wearable device, is synced to a PC or smartphone, is stored on that additional device, and is also stored in the cloud, there are many opportunities for theft or infiltration into the system. We … found that even devices that are not obviously traceable can still be tracked wirelessly due to implementations that do not use available privacy features … We would conclude that there are positive signs that some vendors are doing the right things, but far too many are not. Just how safe is your quantified self? We think that it could be an awful lot safer than it currently is. It’s an especially bleak report when you think about how the rise of fitness trackers has largely overlapped with revelations about the reach and depth of government surveillance worldwide. People just want to trust their devices no matter how much evidence there is that they probably shouldn’t.